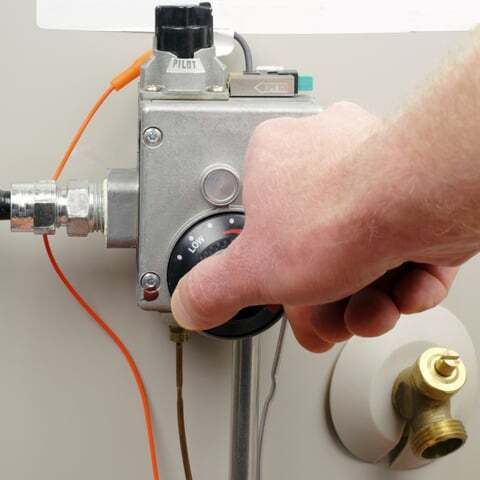 Step-by-step instructions on how to safely relight the pilot on a gas storage-tank water heater. To relight a gas water heater, always check the side of the water heater or your owner’s manual first for step-by-step instructions. Turn gas valve’s dial to “Off” and wait before relighting pilot. 1Turn the gas valve to OFF and wait a few minutes. 2Turn the gas valve to PILOT and push down on it (or a red button next to it). Hold it down to begin the flow of gas through the pilot gas supply tube. 3Holding the button or valve down, wait for the pilot indicator to light or, if your water heater requires manual lighting, use a barbecue lighter to ignite the gas at the end of the supply tube. 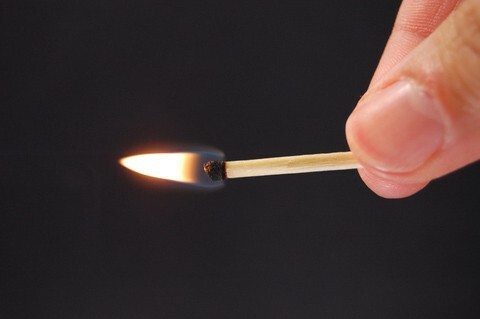 You may have to hold the flame there for a few seconds if air is in the line. 4Continue holding down the control button for a minute or so after the pilot is lit, long enough for the pilot to heat the thermocouple, a heat sensor that automatically shuts off the gas when the pilot goes out. Then release the control button. 5If the pilot won’t light or goes out again, turn the valve to OFF, wait a few minutes, and then repeat the process. 6Once the pilot light stays lit after you release the control button, turn the control to the ON position. At this point, depending on the thermostat control setting, the burner should ignite. 7If the pilot doesn’t light or stay lit after a couple of attempts, see Gas Water Heater Repairs. If none of this works, call your gas utility company or a water heater repair person.